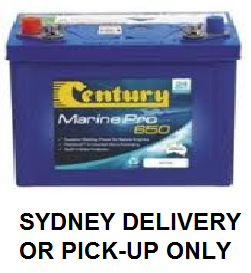 The New Century Marine Pro 680 is a quality low-maintenance battery which has been Replaced for the old Marine Pro 620 and is suitable for marine applications up to 125hp. It has sufficient reserve capacity to operate many of the basic electrics found on todays boats, but is not designed to provide deep cycling capability*. Optional electrics, such as extra lighting, GPS, fish finders, auto pilots, trim tabs and/or a fridge, may require the additional power of the Marine Pro 730. * Designed and built tough in Australia for our conditions. * Contains exclusive PlatelockTM to withstand wave pounding and engine vibration. * Stronger cast components for vibration resistance. 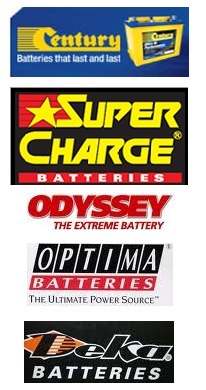 * Back by a 24-month nationwide warranty. * Carry handle for easy transport and handling.